Last year it was reported that HTC is exiting the Indian smartphone market and the company will not be making smartphones for Indian consumers. We also witnessed the exit of various high level executives of the company in India. Now a new online report suggest that the company is working on a plan of reviving itself. As reported by The Economic Times, HTC is talking to domestic smartphone makers in order to return to the Indian market. Quoting three senior industry executives, the report suggests that HTC is in talks with Micromax, Lava and Karbonn for the same. The Taiwanese manufacturer is planning to earn royalty via the new business model. Presently, the company is selling few old models on various e-commerce portals. The report also states that the talks with the Indian makers are in advanced stages and there are also chances that Lava and Karbonn will come together in order to bid for the HTC brand licence. 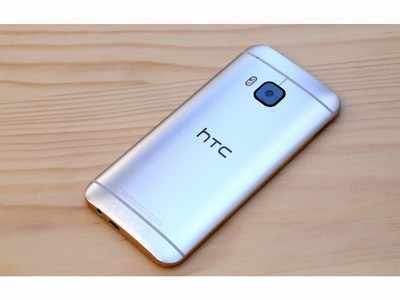 HTC is planning to license its brand for smartphones, mobile accessories and tablets in India. An HTC executive also said that the company is looking for some strategic options in India and the company will announce something soon. Meanwhile globally, HTC is having a really hard time as the company reached all-time in February and its revenue declined by 75%. The company managed to generate $20.2 million in revenue from its global sales of both smartphones and VR headsets. This means that the company witnessed a decline of 37% from the month of January and year-on-year drop of 76%. In this situation the company’s plan to return the Indian market might help in its overall revenue share.